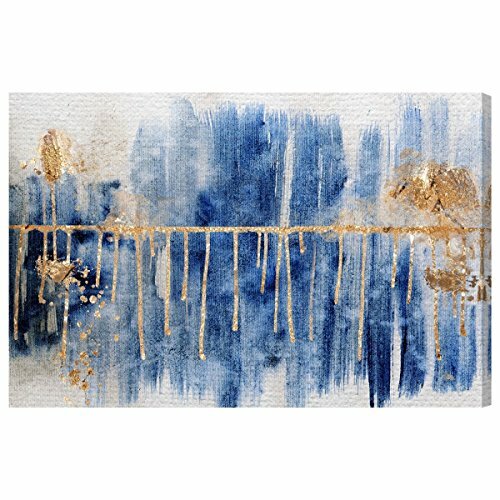 Make any space come to life by hanging this exclusive home decor piece by Oliver Gal on your wall. The Oliver Gal Artist Co. is a brand spearhead by sisters and artists Lola Sanchez and Ana Gal, devoted to bringing you exclusive pieces inspired from photography, fashion, art, nature and travel, designed by a team of in-house artists. Each framed wall art is filled with airy images and striking layers of color, sure to complete any bedroom, living room, dining room, office and more. Each canvas print is handcrafted to capture life's most avant-garde moments, haute lifestyles and splendid views. Oliver Gal's high definition printing process involves an advanced technique that guarantees premium quality and vivid colors with environmentally responsible materials, meticulously inspected to ensure that every wall decoration transmits love and commitment to excellence. Use a soft dust brush to gently remove dust when needed. Do not try to clean with water, glass cleaner, or any other liquids. Each giclee canvas print is created using high quality materials and advanced UV resistant. Your artwork should be treated as you would any piece of fine art. Do not position where it will be near direct sunlight or humid areas. Professionally hand stretched and gallery wrapped in sustainable, 1.5 inches wide, FSC certified real wood. Brand: The Oliver Gal Artist Co. If you have any questions about this product by The Oliver Gal Artist Co., contact us by completing and submitting the form below. If you are looking for a specif part number, please include it with your message. Picture Sensations Framed Canvas Art Print, Abstract Watercolor Marvel Avengers Super Hero Wall Canvas Art - 60"x32"
By The Oliver Gal Artist Co.
PrintArt GW-POD-52-420DAS1015-36x36 "Abstract Sea 2" by Dennis Dascher Gallery Wrapped Giclee Canvas Art Print, 36" x 36"